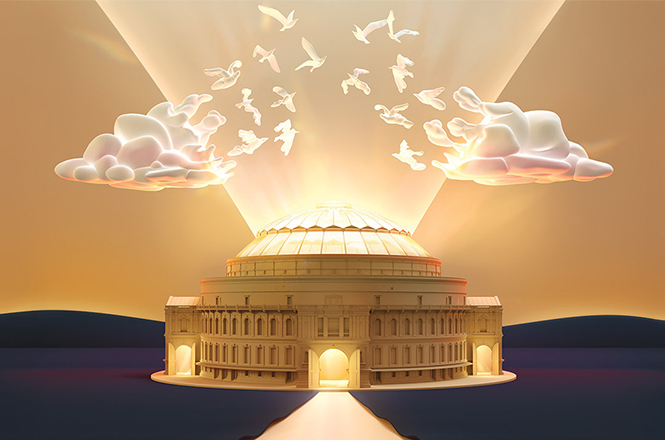 Nicholas Collon conducts the Aurora Orchestra at the BBC Proms for the eighth consecutive year on 22 July, in a trademark ‘from memory’ performance. This year, they take on Beethoven’s Symphony No.3 ‘Eroica’, performed completely memorised with no score. Also on their programme is Strauss’s all-strings Metamorphosen. Nicholas will introduce the groundbreaking ‘Eroica’ with BBC Radio 3 presenter Tom Service, enhanced with live excerpts performed by the orchestra. The concert will be broadcast live on BBC Radio 3 from 7.30pm and will be broadcast at a later date on BBC Four. Ahead of the BBC Proms, they perform the same programme on 21 July at Cambridge’s West Road Concert Hall, before taking it to the prestigious Concertgebouw in Amsterdam on 4 August. Later in August, they perform a programme of Britten, Maxwell Davies and Beethoven at the Berlioz Festival, on 22 August. Visit the Video page to watch Nicholas and the Aurora’s previous ‘from memory’ performances at the BBC Proms.